Harajuku girl wearing a blue jumpsuit, silver sneakers, and a faux fur hat. Japanese trio with Pop Idol Yukkyun in striking streetwear looks while out and about the Harajuku street. 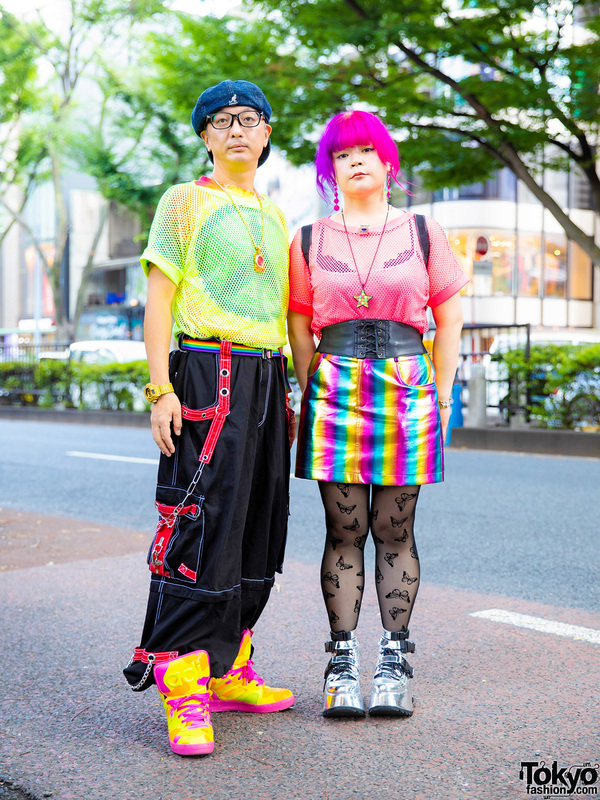 Japanese duo with colorful streetwear styles in Harajuku. 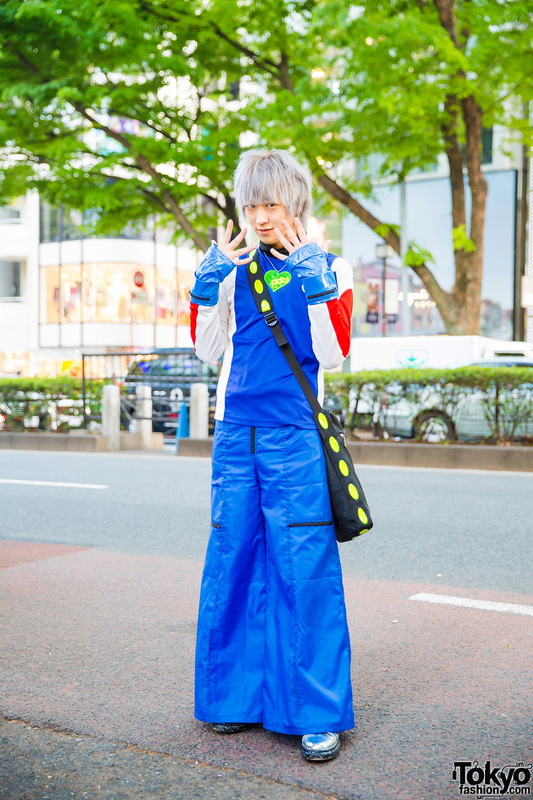 Grey-haired Harajuku shop owner sporting a blue-themed fashion style while out on the street. 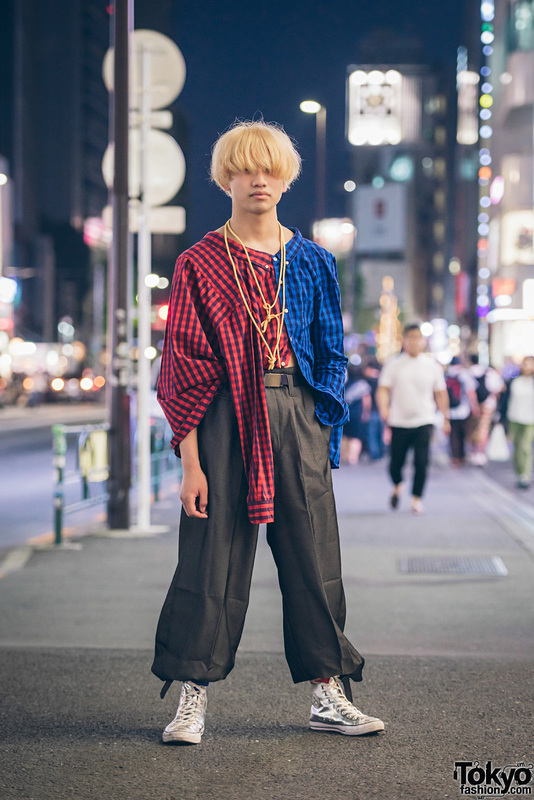 Harajuku guy wearing deconstructed two tone checkered shirt, black pants, mismatched socks, silver necklace, and a rope necklace. 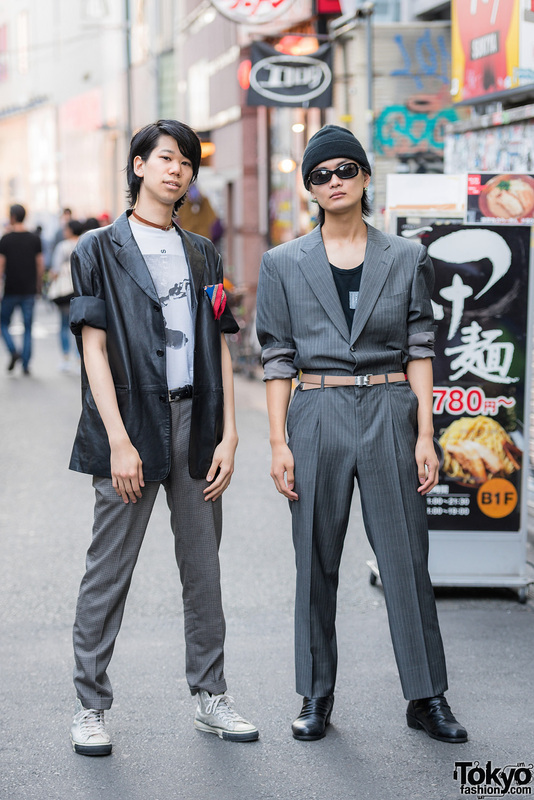 Harajuku beauty school students sporting men’s suit fashion with blazer over t-shirts, dress pants, high top sneakers, leather ankle boots, and accessories. Fluffy hat & colored contacts with t-shirt, midi skirt & plaid jacket, silver sneakers & fringe bag in Harajuku. Three Japanese friends dressed in Harajuku fashion, including an Angelic Pretty handbag. A tall blonde Japanese guy in glasses with a Japanese girl in a beret and skirt in Shibuya.